A few weeks back I had the pleasure to attend Cisco Live in San Diego, this came right on the heels of the OpenStack Summit in Vancouver. Both events were great opportunities for the team at SolidFire to interact with customers and partners, many of whom are investigating solutions built around OpenStack. For me, the one thing that linked the two events was the release of the Agile Infrastructure (AI) solution based on Cisco UCS, RedHat Openstack, and SolidFire storage. In this instance we decided to implement the following solutions working in conjunction to simulate a business that had the need to utilize a high transactional web presence with read and write heavy MongoDB instances working in parallel. Second, dozens of 3-Tier LAMP stack distributed web application workloads were provisioned with a goal of doubling these instances quickly to rapidly scale to meet the demands of a highly transnational web based business. To inject even more disparity into the mix a series of MySQL instances were also created to stage a production database into a test/dev environment. The goal in having all 3 of these unique solutions running in concurrence was to bear out the primary benefit of the SolidFire All Flash Storage platform, Quality of Service (QoS). It’s through QoS that SolidFire storage is able to segment the performance of multiple workloads and ensure that storage performance requirements are met and that strict enforcement of storage based SLA’s are achieved. At the Infrastructure level, RedHat OpenStack was chosen along with Cisco UCS for compute and Netwo rking. Both solutions are leaders in their respective space and have strong, dedicated teams who are contributing heavily to the OpenStack foundation. 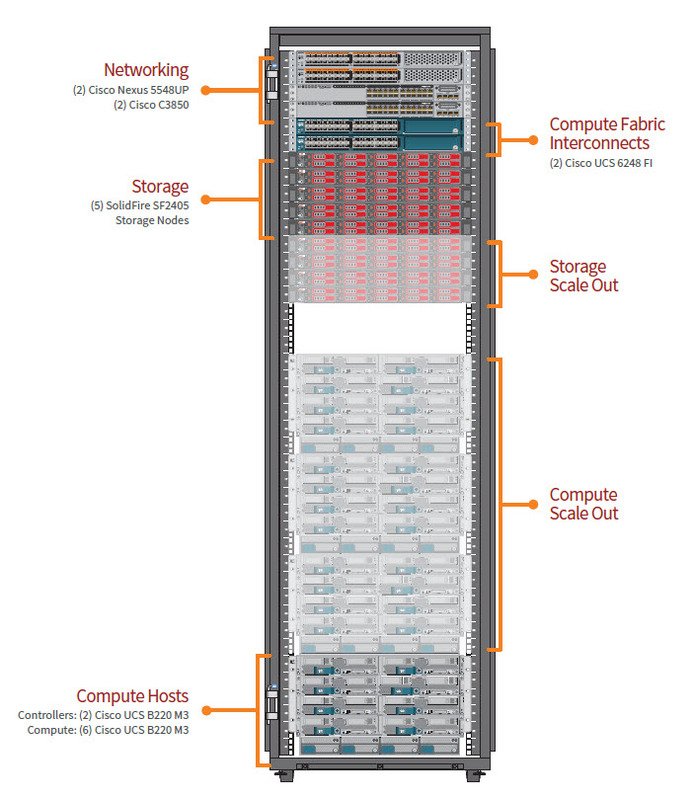 Within SolidFire, we have spent significant time and effort to ensure that our Scale-out, All Flash storage platform is turn-key ready for customers looking to build OpenStack based clouds. Having been a major contributor to the Cinder project going back to the Folsom release, SolidFire has worked hard to position itself as the defacto standard for Flash based block storage in the OpenStack ecosystem. Working alongside our partners at RedHat and Cisco, we were able to craft this specific Agile Infrastructure solution based on the workloads detailed above and have the entire platform operational in 90 minutes. I know that may sound like pure marketecture, but at SolidFire we like to provide proof points for our claims. While this post originally appeared on the SolidFire page to work in tandem with a public facing webinar that we did, you can see the output of this particular solution in this short video.